John Hus, known as “The Morning Star of the Reformation,” desired that the Czech nation and people know redeeming grace through Jesus Christ more than anything else. He preached a clear and popular message in the language of his people, not in the Latin of the church. He taught the Bible very carefully and encouraged people to pursue the truth in Christ in every area of life. He was willing to die for his faith and this is exactly what happened. On Monday a most remarkable event took place in the city of Opava in memory of John Hus’ martyrdom. 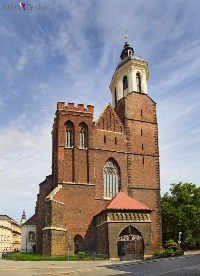 The Catholic Church hosted an ecumenical memorial service to honor John Hus, the biblical reformer, in the main city cathedral. The service was a powerful one in which evangelicals stood shoulder-to-shoulder with their Catholic brothers and sisters. The crowd that gathered was encouraged to pursue the truth as John Hus did by laying down his life at the hands of Catholic hierarchy 600 years ago. Amen. Come blessed Holy Spirit and heal your church with an outpouring of your holy love! Thinking of you here in Central Germany, John. I’m on the trail of Martin Luther in Erfurt, Eisenach, and Wittenberg. Everywhere we go, we see references to Hus. A century after Luther, the Pietists looked to both Hus and Luther for inspiration… as do we in our time. Doug Maul liked this on Facebook. Randy Evans liked this on Facebook. Jeannie Petrinovich liked this on Facebook.